Abstract: It is the best of times; it is the age of intelligence; it is the epoch of freedom. 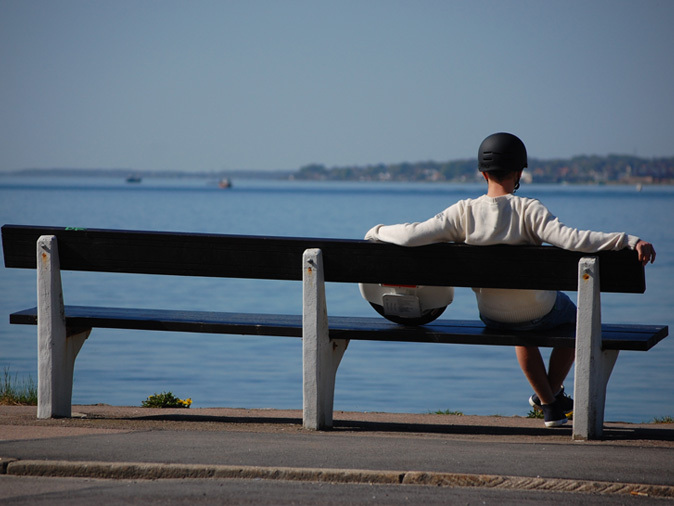 Let the intelligent scooter bring you a world where you want to go. It is the best of times; it is the age of intelligence; it is the epoch freedom. Herein self-balancing electric unicycle from Airwheel Technology loudly announces to the world it is the sign of era; it is the symbol of times; it is flag of science. Airwheel X6 electric unicycle with cool dashing appearance comes to your feet waiting for your treading. 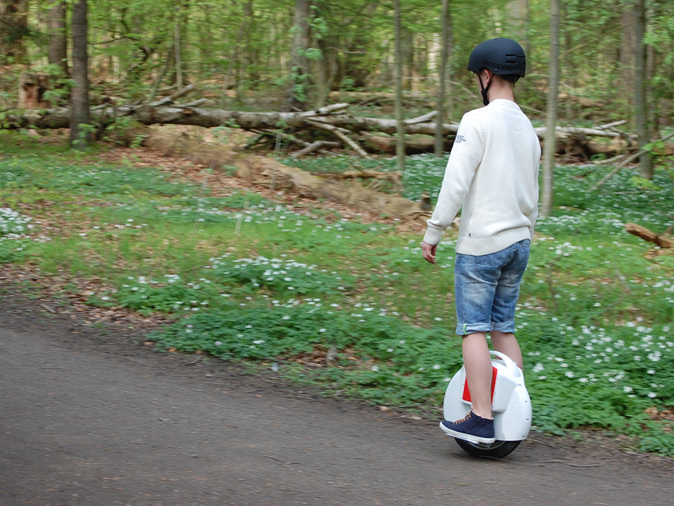 Designed with white and red shells, this electric unicycle is termed the state-of -the- art. In most people's views, it is not only a normal transporter, but also a tool filled with artistic flavor to show off dancing skill. It's totally wrong if you think it like that. Before dancing with it, you must learn to control it as to ride a roller skate. As it's based on gyroscope system, it's easy to maintain balance by leaning forward and backward. When you are skilled to manipulate it, you can try to roll it on the rough ground even stairs. Playing music, you can set free your figure on the small funny scooter feeling the freedom. Meanwhile a row of LED flash lights are installed on the one wheel electric monocycle. Right now music, flash lights, and stage where is the pedals are all prepared well, but only wait for you to dance trippingly. This kind of experience is not second to play the skateboard. On account of its intelligence, the power level indicator will give warning when it's low battery. The maximum speed it can reach is 18km/h, which let you enjoy the experience of flying. If it tilts to over 45°or turn over when you are “dancing” on it, please do not worry for the control system will activate tilting protection. Are you touched by it? If you are, please visit www.airwheel.net.